Choose three succulents, a statue and some colorful accents to create a living work of art. 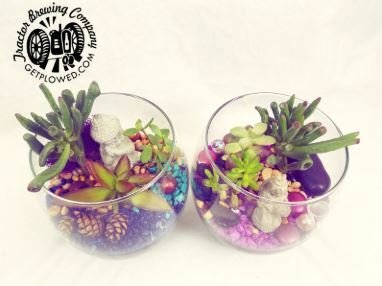 Join Moonlight Makes at Tractor Brewing to make your own terrarium. Choose three succulents, a statue and some colorful accents to create a living work of art.